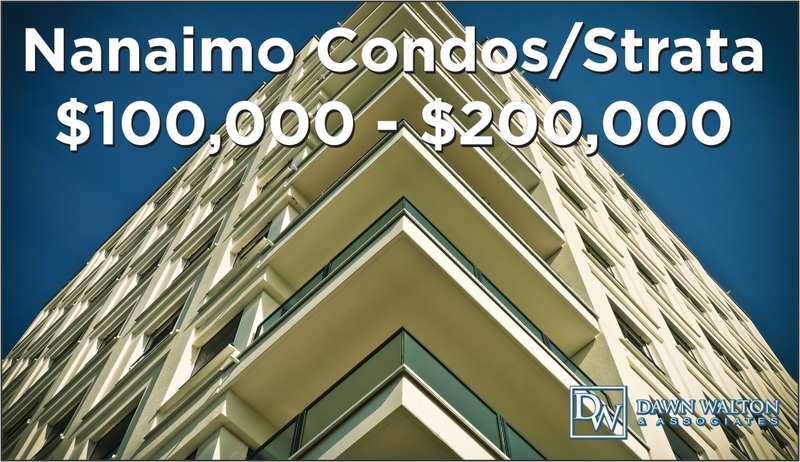 There are currently 8 listings of condos / strata homes, priced between $100,000 and $200,000 in the Nanaimo area. 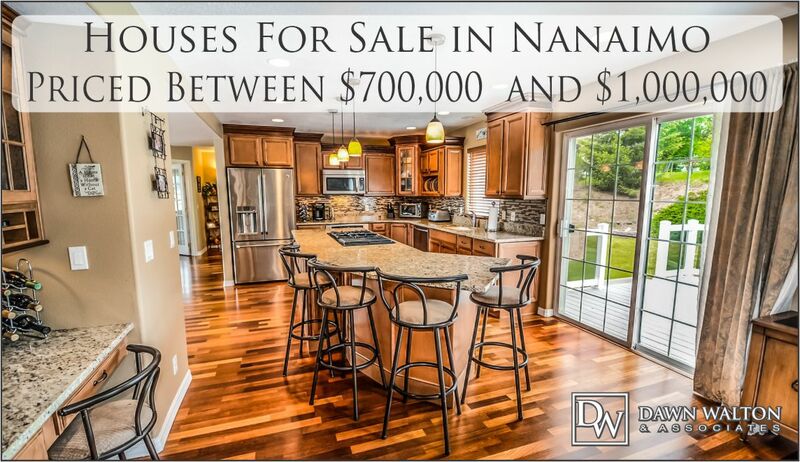 There are currently 143 listings of single family, priced between $700,000 and $1,000,000 in the Nanaimo area. There is one of these homes that is only a 1 bedroom at 1421 Princess Royal Avenue but it is priced in this range because it has the potential for a Multi Family Development as it is R8 zoned. 10 are listed with 6 bedrooms. 60 are listed as having additional accomodations within the property. This could be a illegal in home suite, a legalized suite or a carriage house. 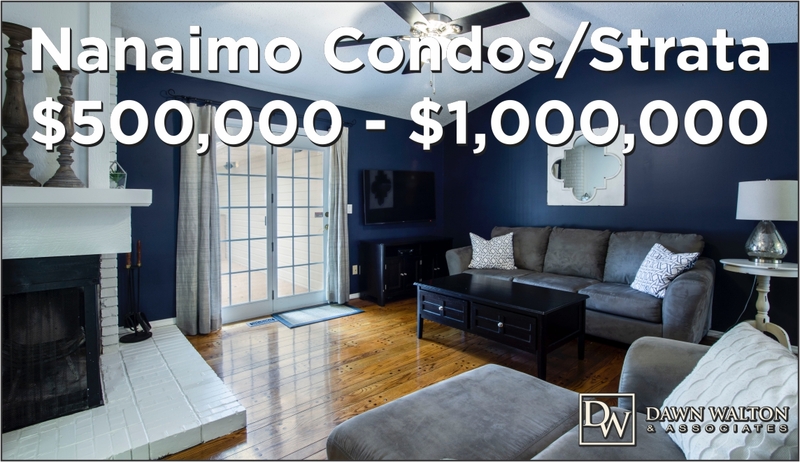 There are currently 163 listings of single family homes, priced between $500,000 and $700,000 in the Nanaimo area. 2 have 1 bedroom, 3 are listed with 2 bedrooms, 45 are listed with 3 bedrooms, 52 are listed with 4 bedrooms.43 are listed with 5 bedrooms, 15 have 6 bedrooms and 2 ahve 7 bedrooms. There is a home for sale in Old City for $570,000 with 8 bedrooms in 3,458 square feet at 602 Selby St (MLS #452645). 63 of the single family Nanaimo homes within this budget have additional accomodations noted in their amenities. 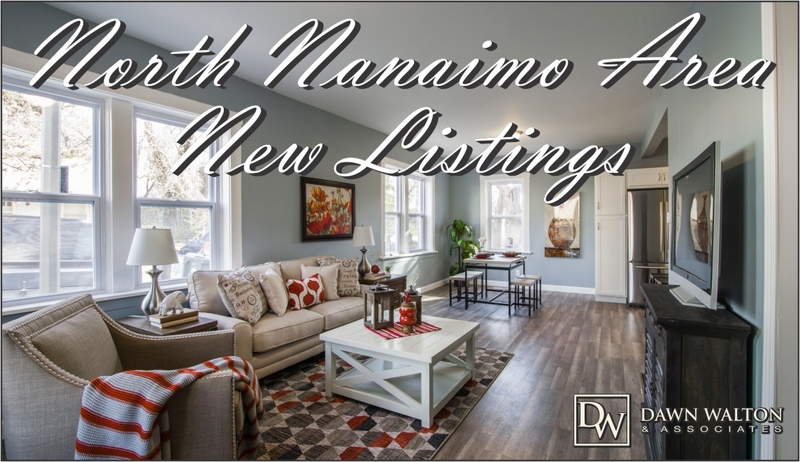 During the first 10 days of April there were 69 new listings of single family homes in the Nanaimo area. They ranged in price from $340,000 to $1,980,000 . Out of these newly listed homes, there are 4 houses with 2 bedrooms, 21 houses with 3 bedrooms, 24 houses with 4 bedrooms and 17 with 5 bedrooms. 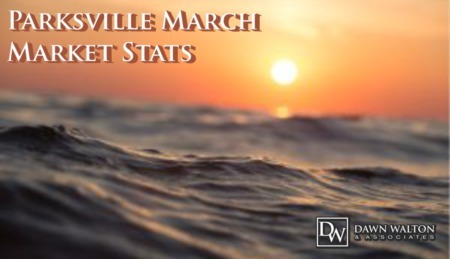 For new March 2019 listings, there are only 2 single family homes listed between $ 300,000 and $500,000. 5960 Parkway Drive (MLS 452156), a 1,558 sqft, 3 bed, 2 bath rancher built in 1983 for $489,000 and 5717 Moira Place (452182), a 2,006 sqft, 4 bed, 2 bath split entry home also built in 1983 listed for $470,000. 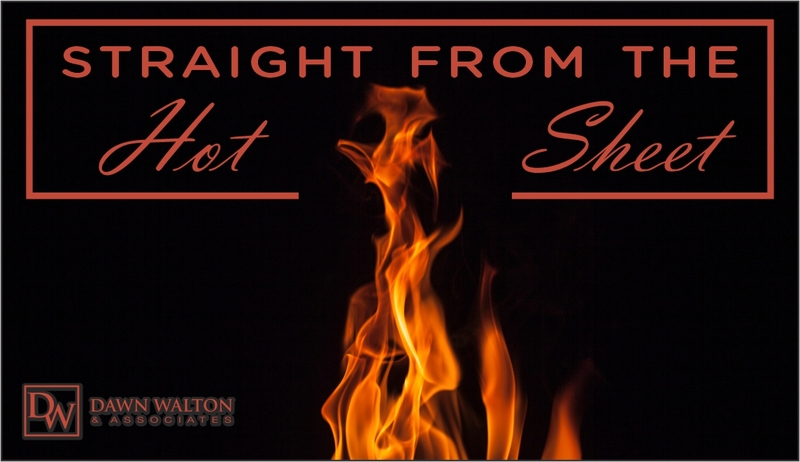 There are 17 single family homes listed between $ 500,000 and $700,000, 25 listed between $700,000 and $1,000,000 and 7 over 1 million listed since March 1, 2019 still on the market. There are currently 47 listings of condos / strata homes, priced between $500,000 and $1,000,000 in the Nanaimo area. 20 have 2 bedrooms and 2 bathrooms and 4 have 2 bedrooms with 3 bathrooms. There is one current listing at 29 Cypress Street (MLS #450819) in Brechin Hill with 2 bedrooms and 4 bathrooms. This 3 level, 1,465 sqft is pristine ocean front. There are 12 current listings that have 3 bedrooms, 5 with 2 bathrooms, 6 with 3 bathrooms and 1 with 4 bathrooms. 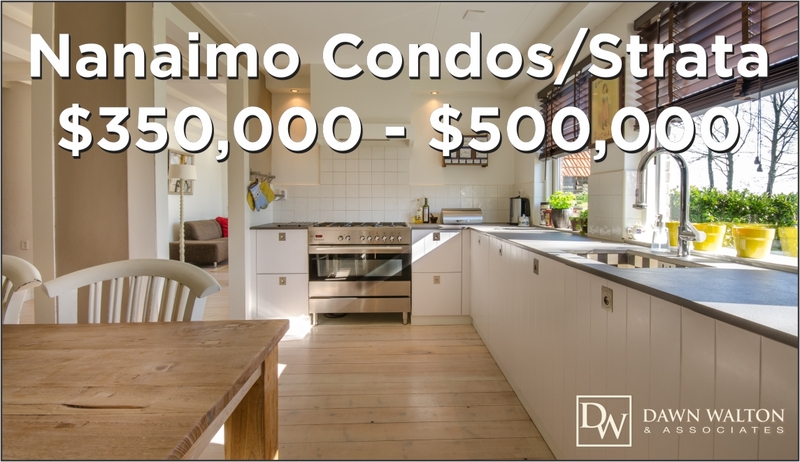 15 of the Nanaimo listings today within this $500,000 and $1,000,000 are oceanfront. 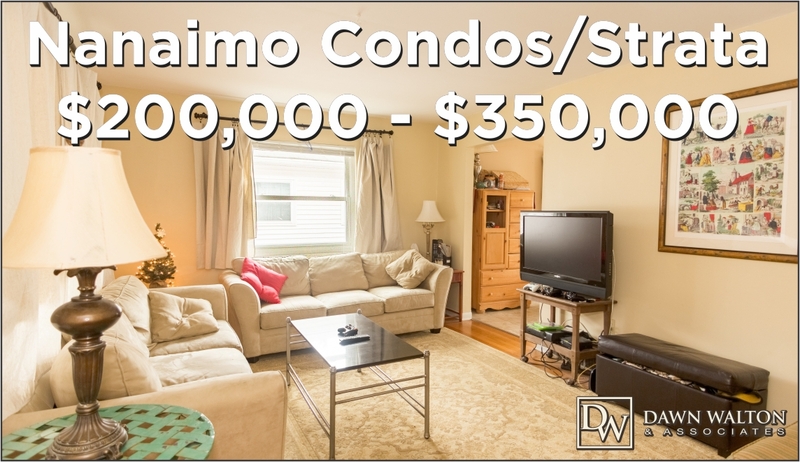 There are currently 56 listings of condos / strata homes, priced between $350,000 and $500,000 in the Nanaimo area. One luxury style condo located at Unit 310, 91 Chapel St has 1 bedroom set in Old City. 1 of them located in the Painted Village in Pleasant Valley which has 2 bedrooms and 4 bathrooms! 5 have 4 bathrooms. 3 are townhouses located in a new build on Victoria Rd in South Nanaimo with ocean view.